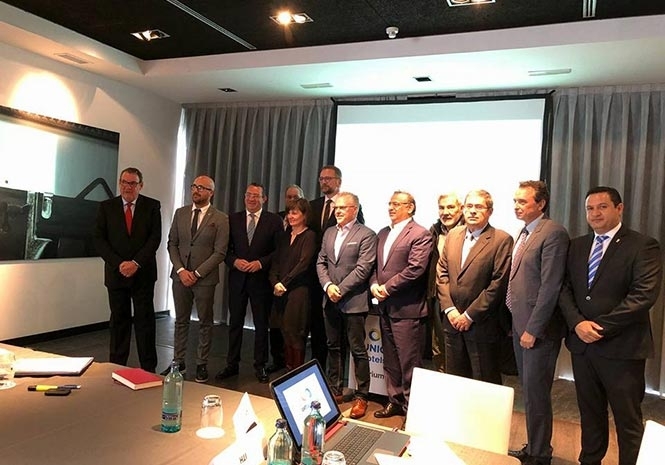 The Alliance of tourism towns in Spain, the AMT, made up of Adeje, Arona, Benidorm, Calvià, Lloret de Mar, Salou, San Bartolomé de Tirajana and Torremolinos, outlined their priorities as the leading tourism destinations in Spain, during a meeting in Madrid earlier this week. Also present were members of the British embassy and consulates. The eight member boroughs together represent only 0.92% of the Spanish population, but received 13.52% of visitors to the country, 11,059, 430 last year. They have an average occupation rate of over 82% and employ over 86,000 people in the sector. Spain is currently registering as the second best tourism market in the world. The strong competition in the sector globally and the permanent evolution of the demand of the new tourist are issues of concern for the members boroughs. All are working to digitalise the sector, to continue to grow as sustainable, safe and accessible places to visit, elements that are important in marking the difference between Spanish and many other destinations and maintain their position as world leaders in the sector. To further the aims of the boroughs the group has said they need a specific financial system with increased funding from public administration to put in place many of the new products which will increase their competitive edge. That in turn will continue to see positive returns for the country. The mayor of Adeje, José Miguel Rodríguez Fraga, says this isn’t just about “asking for money”, but “allocating the tools needed to direct the finance along the lines to alleviate the kinds of pressure that tourism boroughs are under, boroughs that have to deal with a huge seasonal increase in their populations, people who visit not live in the boroughs, but who still require services. Without specific aid, the potential is that the resident population will suffer a parallel decrease in services. 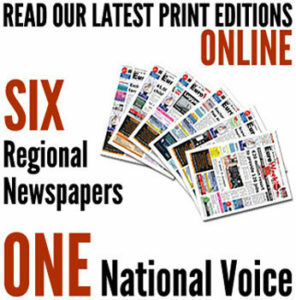 “We are dealing with issues that mark us out from other Spanish boroughs, and as, for instance, there are laws the apply only to the larger cities in Spain, we think it is only fair that we have specific regulations that apply to those boroughs that have a large regular tourism weighting”, insisted the Adeje mayor. The mayor of Arona, José Julián Mena, explained that while “tourism is a source of income and bring opportunities to the residents of our boroughs, we can’t forget that the industry also brings huge pressure to bear on local infrastructures and services”. He added, “We want to be able to continue to offer both residents and visitors quality public services, but that isn’t easy with pressure from the local population as well as a daily floating influs of about 225,000, people, which is exactly why we need a financial structure that is particular and adapted to the needs here – roads, sanitation and health services, for example. Also attending the meeting was Bill Murray, Head of Economics and Public Policy at the British Embassy, Sarah Jane Morris, British Consul for Madrid and Alicante and Lloyd Milen, British Consul for the Balearics, Catalonia and Andorra, who are interested in the evolution of this group given the importance of the British market. During the meeting there was also discussion of worries regarding the question of Brexit and how this might affect tourism. However all were keen to stress the popularity of Spain as a holiday destination with Britons and an overall sense that Brexit won’t have a huge impact on tourism and commerce in that sector. Previous articleJUST FEEL THAT WARM SUN – IT’S SO COLD IN BRITAIN OUR PASSPORTS ARE TURNING BLUE! Next articleDo they need an AFO?